About 40 miles from my hometown, Boulder, CO elementary school Douglass Elementary has implemented a new PE program. I think it is absolutely fantastic that they have added a skateboarding portion to their PE curriculum. For years PE in school was a waste of time and the teachers were not able to truly get kids active. They merely jumped rope or played silly games that didn’t transfer over to activity away from school, besides the kids playing on sports teams. Giving kids the opportunity to learn to skateboard in class can transfer to them continuing practice outside of school and gaining a better perspective on their well being. Besides simply making them active, skateboarding teaches balance, coordination, patience, and fun. What makes this story newsworthy is that this is the first program of its’ kind implemented in the United States. The program looks to grow across the US in the near future but has already begun in Boulder, CO and is getting positive feedback. Kids are equipped with pads and a basic beginners skate board and then a professional trained skate boarder teaches the class. The kids are excited to go to class because it is something that has never been taught before in any school district. I wish I was back in elementary school. 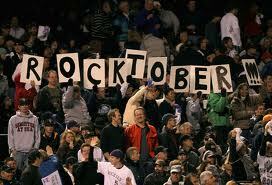 14 days and counting till Rocktober! This article today talks about how the Rockies are going to defy the odds once again and make the postseason in the National League. The biggest point is that they have two incredibly hot hitters right now in Carlos Gonzalez and Troy Tulowitzki. They bat in the 3rd and 4th spots respectively in the lineup. The players ahead of them need to get on base so they these two big hitters can rake them in with big hits and jump on the other team early. They are starting a 6 game road trip tonight and their record on the road is a paltry 29-42. Needless to say they need these games this upcoming week bad to stay in the hunt. They are 2 and 1/2 games out of both the division and the wild card and have a favorable schedule down the stretch to make the playoffs. Tonight on the mound is also Ubaldo Jimenez who is trying for NL tying 19th win. He is a serious Cy Young candidate and would be the first Cy Young winner for the Colorado Rockies organization. This weekend will prove pivotal if the Rockies will have any shot at the playoffs with ten games to go after next wednesday. Local resident of South Sioux City, Moyer Quick, has died after being involved in a two car accident yesterday morning. Quick and Randy Robin, 17, collided on highway 20, two miles east of sioux city, after Quick clipped the front of Robin’s truck in an attempt to pass. Three survived the crash and were transported to Marian Health Center. Randy Robin is reported to be in critical condition with a skull fracture and internal injuries. Quick’s wife, Dorthy, is reported to be in good condition while another passenger Maxine Steuerwald is in fair condition. Iowa State Patrol reported the vehicles were going in a western direction and ended up in a ditch after the crash. The road condition did not affect the reason for the crash. A cat that was stuck in a tree has caused Bob Harwood, a local firefighter, to break his left leg. The house located at 102 11th Ave. contains a large oak tree in which the calico cat, belonging to twins Suzanne and Samantha Decker, climbed up the tree and was stuck. Local firefighters responded to the incident and arrived at the house owned by Charlie and Kim Decker. The fire department decided that the best plan of action would be to climb and rescue the cat. Bob Harwood was the lucky firefighter picked to climb up into the large oak tree. He climbed upwards of 50 feet in an attempt to capture the cat and bring him down safely. After retrieving the cat Bob, while trying to come down nice and easy, stepped on a dead tree limb and it broke 15 feet above the ground. Bob suffered a broken left leg and is doing “just fine” recovering at St. Luke’s hospital. As for the cat, well he landed safely on top of Bob and the twins couldn’t be happier. A false fire alarm sounded at East High School three times this past Wednesday. The fire alarms are the most recent of several incidents that have occurred at the high school as of late. Students have been suspended for being caught smoking marijuana in the school parking lot and had a food fight as part of those recent incidents. Principal Laura Vibelius says that she sees to continuation of these events in the near future. These incidents are thought to be occurring because students are disgruntled over ten upperclassmen being suspended for the marijuana smoking in the parking lot. Principle Vibelius seems to think that there is no correlation between the smoking incident and the students being disgruntled. She says it simply boils down to the students being ready for summer vacation and to be done with school. An overturned Texaco gasoline truck spilled and flooded sewer lines for two blocks around. The accident occurred at 48th street and Correctionville road. The incident caused cars to be rerouted through side streets around the fairly large gas spill. Four families had to be evacuated because of sewer-line gas. The gas spill stretched into streets and ditches and caused a major mess for the two-block square radius. Fire Chief Charles Hochandel says, “The firemen followed catastrophe and hazmat procedures set up beforehand for such an occurrence.” The spill was considered serious for two hours until the gas flushed away from the area. Fire crews were prepared to handle the situation or it would have been a much bigger ordeal. Families were allowed back into their houses shortly after the two hour mark when the evidence of gas started to evaporate. The central nervous system of a group of buildings can be an exciting place to visit. Passers by often wonder when driving or walking through such stretches of buildings how they all connect and interact. Some buildings are important while others stand for no reason at all. The campus of Morningside College contains this exact landscape. One building in particular that still stands today is Charles City College Hall. This building is where the college experience first began for students in 1890. The hall was a very different place in 1890 than it is today. Listening to different professors discuss the building, Charles City’s basement classroom used to be where the cafeteria fed the small student body. The building has a unique feel to it because the many other buildings on campus besides Lewis Hall have a much more modern feel and they were built much later than Charles City Hall. It is quite fitting that Charles City Hall houses the history, philosophy, theatre, and religion departments. The Hall was first used for strictly music students and their classes. The attic is filled with different types of musical instruments and pianos that were used in the late 1800’s. Charles City Hall on the outside appears to be a cozy building that entices students to open up their minds to many different types of information but, people have said their are certain spirits roaming around inside with the students. During the day the hall sounds like an educational place but, at night things change. Sounds that once were thought of to be normal are now sounds of fear and question. The building is dark and empty yet feels full and loud. The creaks speak to the thousands upon thousands of people that have climbed up and down the stairs and walked through the halls for over one hundred years. If someone sits very quietly, they can hear music playing from some of the classrooms late at night when they are the only person in the building. Charles City College Hall is surrounded by trees and looks different than any other building on campus. There are pictures on the walls that remind people of haunted houses where the eyes seam to be watching your every step. A good initiation to the school may be to have students spend the weekend in the attic and not get frightened. There are of course more frightening buildings than Charles City College Hall, but the place seems to take on a life of its own. The College absorbed this building when the Methodist Church decided that it would be the birthplace of Morningside College. The building is now a historical landmark site for the state of Iowa and holds a lot of importance to the surrounding area and the history of Sioux City, Iowa. Sometime soon, visit Charles City College Hall. Look at the vines that never die and crawl up the purple colored bricks on which the foundation was built. Step inside and try to walk down a hallway or climb some stairs without making a single sound. Sit down in a classroom and listen to a class. Or better yet go at night and listen for the spirits of past classes. The hall seems to buzz and being that it is the center of the Morningside College nervous system, it is very fitting. Comments Off on Class in the Cafeteria? The central nervous system of a group of buildings can be an exciting place to visit. Passers by often wonder when driving or walking through such stretches of buildings how they all connect and interact. Some buildings are important while others stand for no reason at all. The campus of Morningside College contains this exact landscape. One building in particular that still stands today is Charles City College Hall. This building is where the college experience first began for students in 1890. The hall was a very different place in 1890 than it was today. Listening to different professors discuss the building, Charles City’s basement classroom used to be where the cafeteria fed the small student body. The building has a unique feel to it because the many other buildings on campus besides Lewis Hall have a much more modern feel and they were built much later than Charles City Hall. It is quite fitting that Charles City Hall houses the history, philosophy, theatre, and religion departments. The Hall was first used for strictly music students and their classes. The attic is said to be filled with different types of music instruments and pianos that were used in the late 1800’s. Charles City Hall on the outside appears to be a cozy building that entices students to open up their minds to many different types of information but, people have said their are certain spirits roaming around inside with the students. During the day the hall sounds like and educational place but, at night things change. Sounds that once were thought of to be normal to due its age are now sounds of fear and question. The building is dark and empty yet feels full and loud. The creaks speak to the thousands upon thousands of people that have climbed up and down the stairs and walked through the halls for over one hundred years. People have said that they sometimes, if they sit very quietly, can hear music playing from some of the classrooms late at night when they are the only person in the building. Charles City Hall is surrounded by trees and looks different than any other building on campus. There are pictures on the walls that remind people of haunted houses where the eyes seam to be watching your every step. A good initiation spot may be to have students spend the weekend in the attic and not get frightened. There are of course more frightening buildings than Charles City Hall, but the place seams to take on a life of its own. The College absorbed this building when the Methodist Church decided that it would be the birthplace of Morningside College. The building is now a historical landmark site for the state of Iowa and holds a lot of importance to the surrounding area and the history of Sioux City, Iowa. 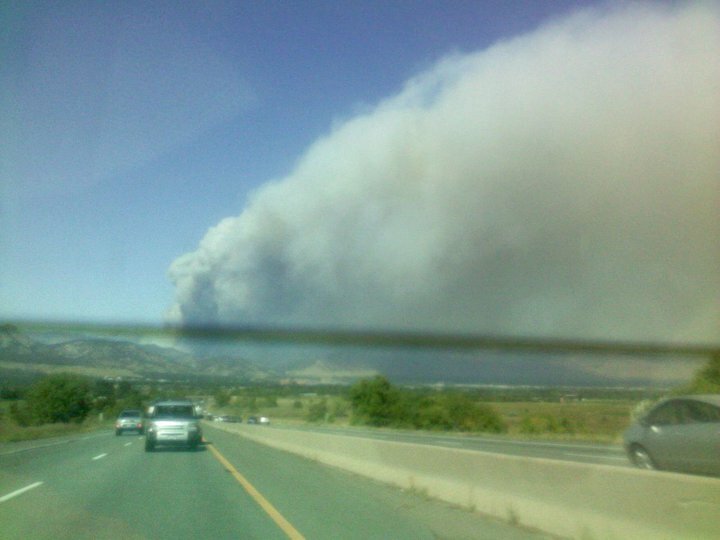 A small fire quickly turned into intense flames crawling up the sides of mountains surrounding the city of Boulder, Colorado. Many residents have had to flee their homes according to police and thousands are on immediate evacuation watch. The flames were 40% contained as of yesterday but the winds are due to pick up to a higher degree today. I have a lot of friends attending Colorado University and they are also on watch to determine if classes will get cancelled as the fire inches closer to the city. The sad story is how fast this story happened. Many people were caught off guard as they had to choose quickly what items meant the most to them before their house was leveled by scorching hot flames. A man was prosecuted for crossing over the police line 3 different times in search of his three cats which he had to leave behind in his house. The house didn’t make it. I cant imagine being put in a situation when you have less than 2 hours to quickly and efficiently decide what items mean the most to you and what items have the potential for total destruction. Chris Levine an eccentric person who will usually be found by a computer in the mass communications department. He is a Junior this year at Morningside College. He went to school in Allen, Nebraska but grew up in South Sioux City, Nebraska. His major is mass communication and media production and he is very good at both. He enjoys listening to music with a good beat, be it techno or rock and everything in between. Chris has been to Canada and hopes to travel a lot more after finishing college. He has one younger sister and spends most of his free time manipulating video or audio. Chris Levine is a strong asset to the Morningside College mass communication department and a great guy to hang out with.